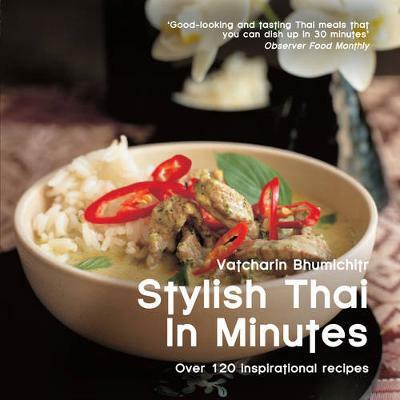 In this title, Vatch shows us how to cook delicious Thai recipes in 30 minutes or less. The recipes reflect his unsurpassed knowledge of Thai food, from Bangkok's popular street food to the fish specialities on the coast. Vatch uses simple, healthy but delicious ingredients, quick preparation methods and elegant presentation. Favourite dishes such as Geow Tod (Vegetable Won Tons) and Gratdoo Mood Tod (Spare Ribs with Chilli and Lemon Grass) will appeal to all. Vatch also describes traditional Thai customs for celebrating and entertaining. This book is the perfect introduction to Thai cuisine.